July 3, 2014 Archives - Clarksville Sports Network - Clarksville Tennessee's most trusted source for sports, including Austin Peay State University. 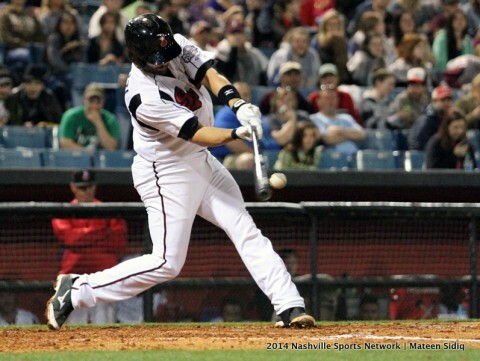 Nashville, Tn – The Nashville Sounds suffered a 7-5 loss to the cross-state rival Memphis Redbirds in front of a season-high crowd of 10,251 fans on Thursday evening at Greer Stadium. The series finale defeat snapped the first-place Sounds’ season-best six-game winning streak. Nashville (46-42) finished its homestand with a 6-2 record. Memphis jumped out a 2-0 lead in the top of the first inning against Sounds starter Taylor Jungmann. The right-hander walked the bases loaded with two outs before giving up a two-run single to center by Pete Kozma. 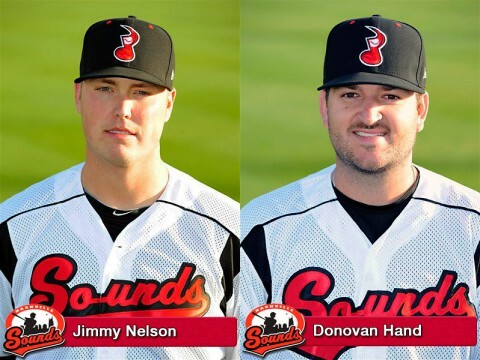 Nashville, TN – Starting pitcher Jimmy Nelson and reliever Donovan Hand have been named to the Pacific Coast League All-Star team and will represent the Sounds on the 30-man squad that takes on the International League stars in the Triple-A All-Star Game on Wednesday, July 16th at Durham Bulls Athletic Park in Durham, North Carolina. Nelson was the top vote-getter among PCL players and will serve as the league’s starting pitcher in the 6:00pm CT contest. Hand was selected as a reserve by the PCL office. Nashville, Tn – Senior safety Daniel Fitzpatrick was named to The Sports Network’s FCS Preseason All-American Team, while defensive end Anthony Bass made the publication’s Third Team. Fitzpatrick made the squad following a season in which he picked off six passes during the regular season and added two more in the team’s first round FCS Playoff victory over Butler. The eight total interceptions led all Division I players (FBS or FCS). Of those eight interceptions the junior returned three for touchdowns, scoring a 50-yarder against Jackson State in the Southern Heritage Classic in Memphis, returning what proved to be the game-winner 20 yards at UT Martin and a 26-yarder at Butler. Before we get to the mid-season honors for this year’s Braves team, allow us a moment of silence for the Fredi Gonzalez Bad Managerin’ Award, retired possibly for good by what has really been an incredible run for Fredi. He moved Chris Johnson out of the clean-up hole when he was struggling, (belatedly) ditched Dan Uggla and showed the tremendous foresight to turn the leadoff spot over to B.J. Upton, who has looked half-competent, which is a massive improvement for him – all while every valuable player on his roster suffers from some sort of ailment. And this team is in first place — in the NL East — but still… kind of incredible, right?